Here in Idaho Falls, we at the Group Real Estate are here to make your transaction go smoothly. We want to make sure that getting the house of your dreams is a great experience. You want to make sure that your experience is a great experience. As you go into the home buying life, you don’t want it to be miserable. Think back when you were a kid, you were about to go to Toys R Us, and you were going to pick out your favorite toy, or a bike, or doll, that you had been saving for, or your parents were rewarding you with. This was a special moment. And especially in the eyes of a child, this was a very big moment for you. You didn’t want to screw it up. You had one chance to use this moment wisely. You knew you had to have the right money, you were going to impress your friends, it was going to complete a set, it was the new things, etc. These were all things that flooded your little brain pan. Now, I have a story about this. As you all know, I am an avid comic book collector. I love comic books, I love to read them, I love to collect rare ones, and I love getting autographed ones. I love comic book movies, cartoons, toys, the whole deal. As I was growing up in Pocatello, Idaho for a few years, there was a Circle K store on our block that sold the weekly comic books. I got into a GI Joe comic book, that introduced my favorite character Storm Shadow as a good guy, instead of a bad guy. I was getting really big into collecting them, and wasn’t missing a month. One month, I gathered my $1.75 from my allowance jar and headed to get the comic book. I grabbed the next issues, excited to see what kind of ninja trouble Storm Shadow was going to get into. I took the comic book up, and threw out $1.50. I was short a quarter. Man, oh man did this wreck me. I was so in the moment of wanting a comic book though, that I put it back, went back and grabbed a different comic book. Paid for it and took it home. That night, my dad saw me upset about the comic book I was reading. “I though you loved those silly things?” He said to me. I was so upset with my purchase that my dad remedied the situation by going back to the Circle K and getting me that month’s GI Joe. Now, I tell you this story with some detail, to let you in on the notion that you do not want to do this when you are buying a house. Especially if you are going in as a first time home buyer. If you get locked in with the idea that you just want a house, whichever house comes a long, you will go for, but after time will be disappointed. This shouldn’t be the case when it comes to home buying. It’s not as simple as taking it back to the Circle K to get the correct house. Or, to highlight much more of the story, had I had my mom check the money, had I decided to take my miscalculated money back out to my mom to get things right, then gone back in, or simply saved up even more, just in case, I would have been better. This is exactly why you need a realtor. They are the in-betweeners, who will find all that you need to help you get the right house. If a house isn’t right, they are willing to move on to something better for you and they will search it out for you. They won’t just find anything and throw it in your way. The leg work that a realtor can take out of your way, the better the buying process will be. 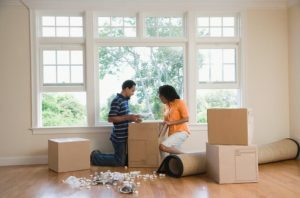 As you look for you new home, remember that you need to look for YOUR new home. Don’t look at homes that others tell you to look at. Don’t get caught in the trap that you have to have a house, due to the fact that your friends just got into a house. Don’t be pressured into buying the wrong comic book all due to the fact that you didn’t get the right amount of money. Make sure everything is in order and that you are ready to do what you need to do. And don’t try and do this all on your own. When you have the right realtor by your side, the transaction will go so much smoother, and you will come out benefiting from it.